SKU: 411121. Categories: Best Brands, Cockrings Sleeves & Extensions, Just 4 Him, Pipedreams, Sleeve & Extension. Tags: exntesion, realistic sleeve, sleeve. 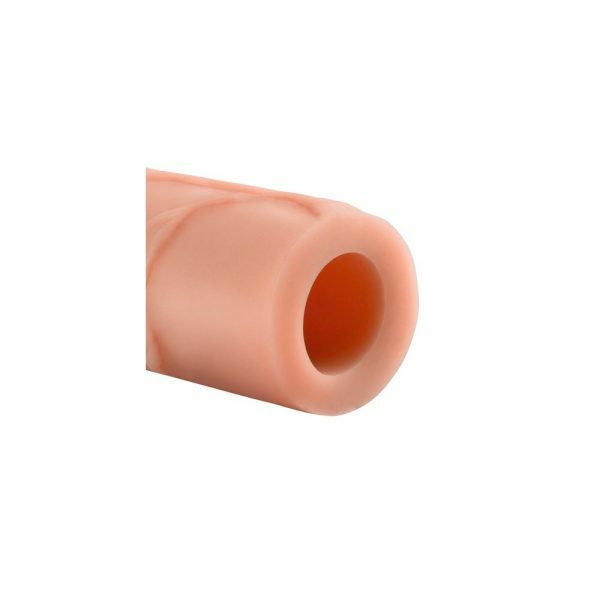 The Perfect 2″ Extension is a customizable extension that can be easily trimmed at the base for a perfect fit. It’s super-stretchy to accommodate most sizes and snug enough to help you last longer. Your partner will enjoy deeper penetration with the 2″ extension at the tip, while the ultra-lifelike shaft makes you 33% thicker all around. The soft Fanta Flesh material feels just like a second skin, giving you the length, girth, and confidence you need to satisfy your lover.